There is nothing worse than being stuck in a stinking hot car on a hot summer’s day. 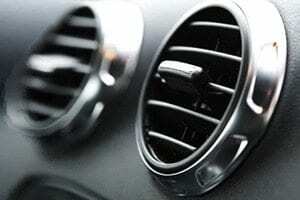 Keep your car air conditioning system running cool and smelling fresh with one of our Car Air Conditioning Services. Re-gas system with new R134a and UV dye. Why Service my Car Air Conditioning System? Your car air conditioning system contains many parts and just like any modern technology it needs regular care and attention to keep it running well. In your car air conditioning system the compressor may seize if it runs out of oil, the cabin filter becomes clogged with dust, bacteria and moisture, which may cause the entire system to stop working. The car air conditioning system has many rubber o-rings that often perish over time and cause gas to leak. 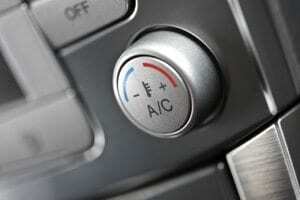 How often should I service my car air conditioning system? We recommend having your car air conditioning system serviced every two years, this is the easiest way to prevent expensive breakdowns. Most cars will leak some gas over time which means your AC won’t get as cold as it used to and may even stop working altogether. Why does my car smell musty? Generally, the strange smell coming from your car air conditioning vents is due to a build-up of dirt and bacteria in the system, this can even bring on allergies and asthma. We would recommend an AC deodoriser, this kills any bacteria lurking in the AC system and leave’s it free of any nasty bugs. BOOK YOUR AC SERVICE TODAY!